Our reflective barrel tape is perfect for refurbishing your old, tired-looking barrels. 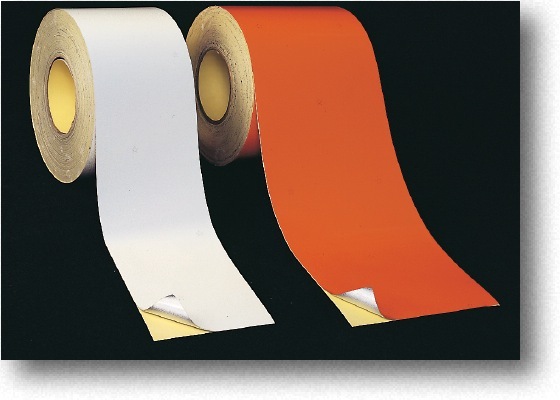 These high intensity, super engineering grade (ASTM Type II) barrel tapes meet all DOT specs and are available in orange or high intensity ASTM III white 50 yd rolls, in 4” or 6”widths. See our Retro-Reflective Engineering Grade (ASTM Type I) tape below when less stringent specifications are required.